Heating with electricity is easy and can be quite useful in certain circumstances. There are several practical advantages such as easy installation. Nevertheless in the long run heating systems using other energy sources are more efficient. Heating with electricity can be quite useful as a supplement to other heating options, or in places that are not used very often, such as holiday homes. 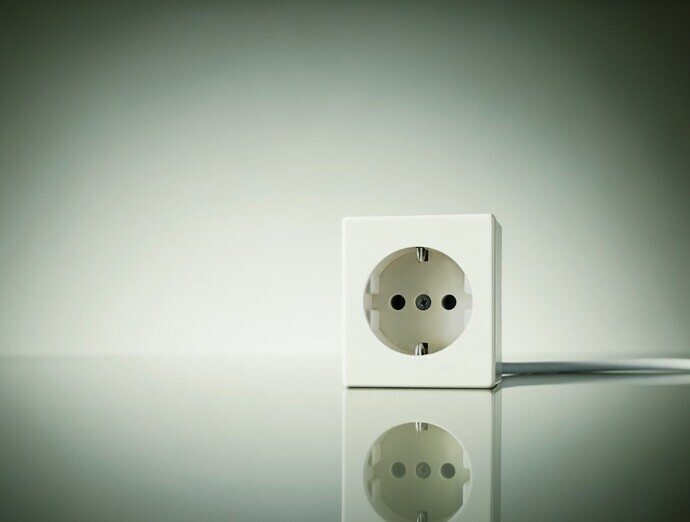 Electrical devices are also recommended in certain places where central heating is not possible or advisable such as in a small office or a warehouse. Most devices require little space. Other advantages are the installation and maintenance costs which are often low. Non-storage type heaters also produce heat immediately, so if a bathroom needs to be heated to quickly take a shower, this can be achieved with a non-storage type electric appliance. The practical benefits are offset by the relatively low efficiency of using electricity. Burning fossil fuels used for electricity generation entails losses due to the conversion to electricity. In addition, some of the energy is lost on its way through the grid. This means that the energy consumption is higher compared to the heating system in the house. Therefore, the use of electricity for long-term heating in continuously used buildings is not recommended. Often electricity is used to heat water for kitchens and bathrooms for example via instantaneous water heaters. Heat pumps also require electricity. They use it to drive their pump.